We talked to a candidate waiting for the local election results. Phil Scott, elected as councillor for the Almondbury Ward today, tells our reporters how he got into politics. 18 year old Katie Frank stood for election in the Greenhead Ward of Huddersfield, and came second to the Leader of the Council. She told our reporters that being a candidate is a great opportunity. Charles Greaves has just been elected as Independent councillor for the Holme Valley North ward. He talks to our reporters about why he decided to stand and what he hopes to achieve. 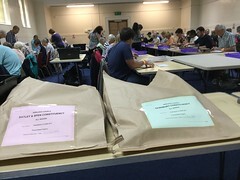 Who observes the opening of the postal votes for a local election? The counting might have been over, but the work of the election staff wasn’t quite done. 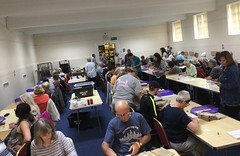 There was still the business of packing away all the election paraphernalia so that the counting venues could get quickly back to doing their day job of being local sports centres. 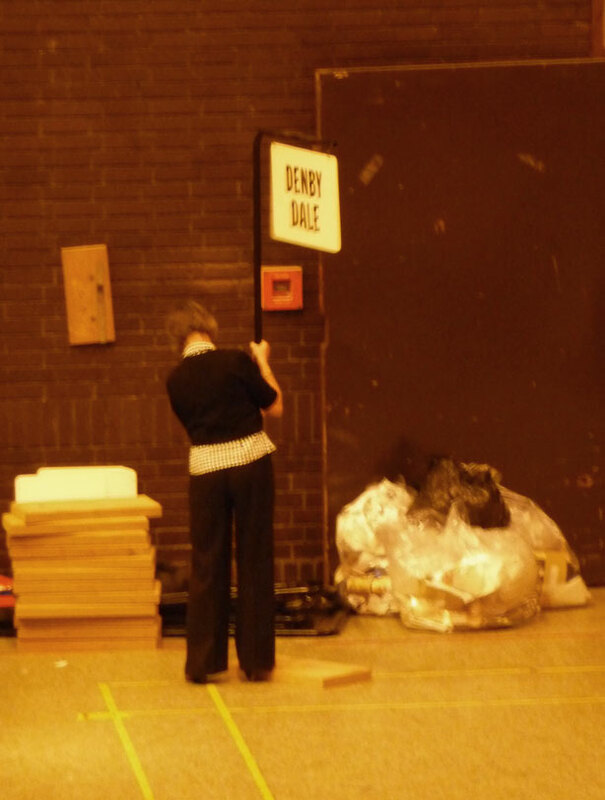 So it wasn’t quite over until the Denby Dale sign had been packed away. The work for candidates and their fellow party members wasn’t quite over either. 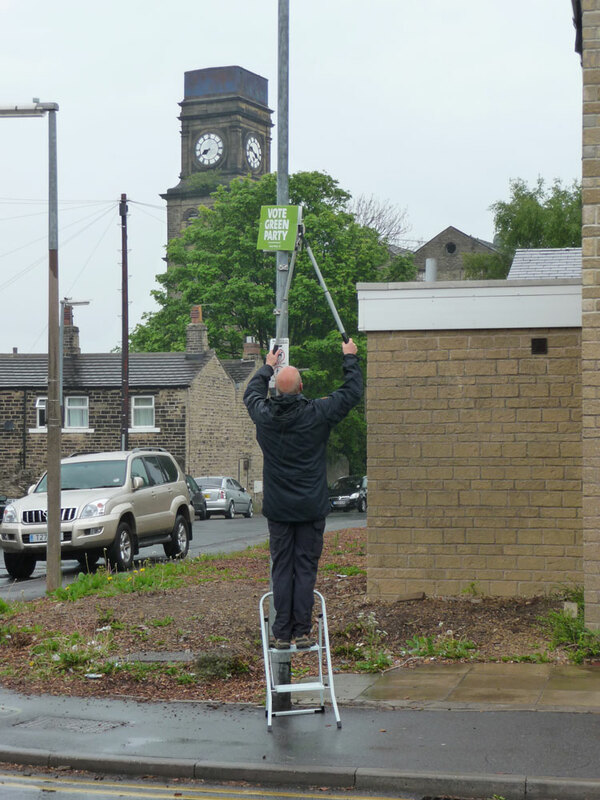 The morning after the count, we spotted one of our ward councillors out and about with a pair of loppers taking down the boards from the lamposts. I always wondered who did that. “Did you put them all up as well?” I asked.